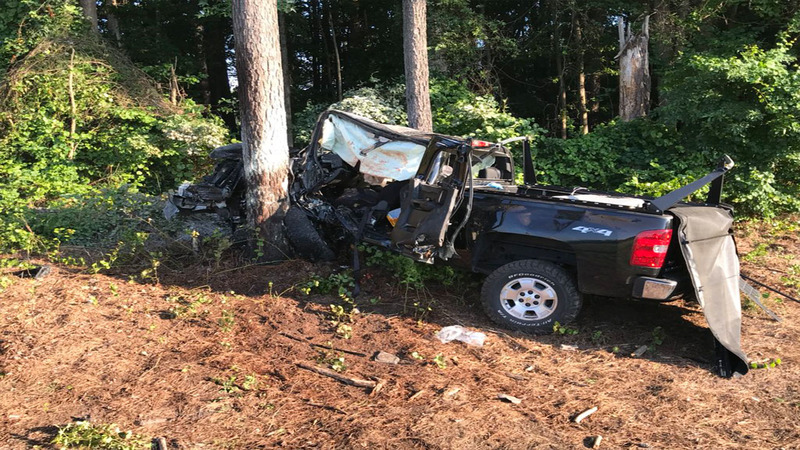 CUMBERLAND COUNTY, N.C. (WTVD) -- One man is in the hospital after North Carolina State Troopers said he crashed his truck Friday morning. The incident happened before 6:30 a.m. on I-95 near Godwin Road. Troopers believe the man fell asleep behind the wheel and crashed his truck between two trees. Officials have yet to release the man's identity or the extent of his injuries.